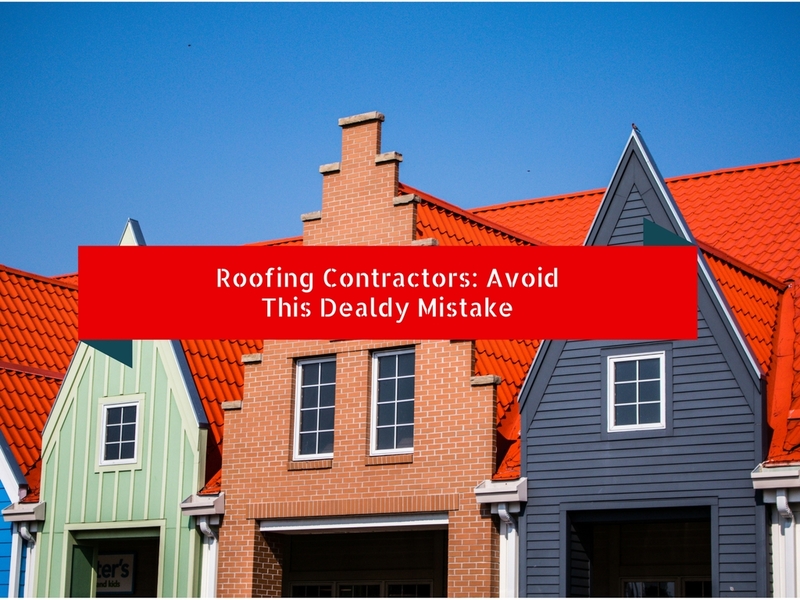 One of the biggest mistakes that roofing contractors make is relying on a single channel for new customers. Word of mouth and referrals is the most common channel that roofers use to generate leads. However, when you rely on a single channel you put your business in a perilous position. If you are fine with relying on referrals to grow your business and don’t need more work then you should stop reading here. This post is written for roofing companies that want to grow and dominate. Referrals and word of mouth leads is the most common channel that contractors use to grow their business. These are the type of best type of opportunities. The problem with referrals that unless you have a large customer base or have a systemized process to get more referrals, the number of referrals you get on a month to month basis will be unpredictable. When building a foundation of a building you can’t rely on a single point of failure. There are multiple points of failure to ensure the safety of a building. If you rely on a single source for your lead generation your business will be on a shaky foundation. By relying on a single channel for growth you are not in control of your destiny. Having multiple lead channels is the best way to grow your business and build a strong foundation. What works one day might not work in a few months. Online marketing is constantly evolving. Right now the two hottest platforms are AdWords and Facebook. However, this might change in a few years. By the way, the internet constantly changes this might not be the case in a few years. A good rule of thumb is that the more lead generation channels you have working for your business the stronger your foundation will be. When you have multiple lead channels working you’ll have multiple points of failure. This way you are protected with any future changes. The thing that most contractors don’t understand that in order to get a lot of referrals you need to have a large customer base. The only way to build that customer base is by marketing & selling. For many contractors, marketing was once done through newspapers and the yellow pages. The point is that if you want to generate a lot of referrals you have to consistently build that customer base. The more people you market to the more people will eventually become customers and then references. The only way to know the answer to this question is by tracking everything. You must track how many leads each channel generates and how many of those leads turned into a sale. Conversions are the #1 metric that you should measure. Tracking conversions are best done using a CRM. A good CRM allows you to track each lead source and create a pipeline of the number of deals each lead source generates. At the end of each month, you’ll have a good understanding of what channel provided the greatest ROI. Obviously, some commercial deals will have a longer sales cycle so it will take a longer time to see a return. Some of our clients measure the effectiveness of a channel by keeping track of the number of deals in the pipeline. There are CRMs that provide a visual representation of the revenue in the pipeline. Once you know which channel provides the greatest ROI then it’s time to scale. With online marketing, it’s as easy as flipping a switch. You can spend more on AdWords and Facebook to get more leads. If you are relying on canvassing you have to hire more people. Once you have multiple channels that are consistently generating leads for your business I would recommend that you invest in branding. This can come in the form of creating a video commercial for your business, sponsorships, charity events, etc. All these things will help you increase conversions. As the world keeps becoming more commoditized, branding will be even more important. This means that image and perception are everything. In an earlier video, I explored all the different ways that you can use to generate leads for your business. When you have multiple channels that are generating leads for your business you will have a strong foundation. Nothing is certain as an entrepreneur but by having multiple lead generation channels for your business you’ll take greater control of your destiny.